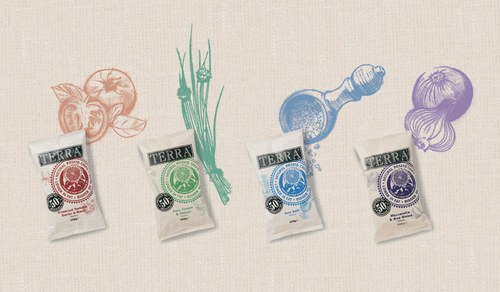 For over two decades, Terra Chips has had a passion for creating delicious, high-quality chips. 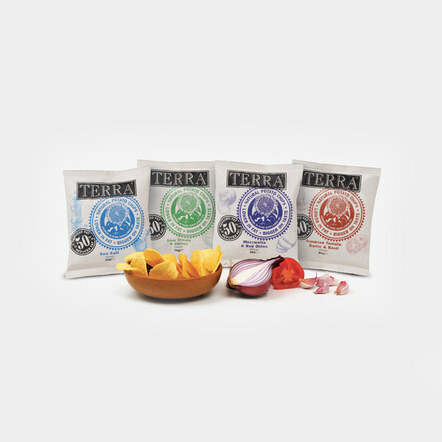 For the launch of Terra 50% Reduced Fat Premium Flavoured Chips, we completely overhauled the existing predominantly black packs and created a very honest, down-to-earth design inspired by old stencilled hessian potato sacks. The simple illustration style conveys the natural ingredients and preparation process where every vegetable is still hand selected and prepared in small batches.